This book addresses the needs of engineers and technicians, who need to get familiar with Multimedia Broadcast technologies in general and the MBMS extensions introduced with 3GPP Release 6 in particular. The book provides an overview of the important video broadcasting technologies, such as Digital Video Broadcasting (DVB), Digital Multimedia Broadcast (DMB), Advanced Television Systems Committed (ATSC) and their area of application (stationary desktop, in-car usage, handheld devices). Having the general broadcasting overview in mind, the subject will be expanded with the specific architecture of MBMS. It will explain the reference points, new network entities, operation modes and important session scenarios. Clear focus is on MBMS in the Radio Access Network with the description of new logical channels (MCCH, MICH, MSCH, MTCH) as well as the mapping to transport and physical channels. Another important focus is the MBMS operation in the Radio Access Network (RAB setup, handover, service registration). Protocol extensions and enhancements introduced with 3GPP release 6 compared to the UMTS system of 3GPP release 5 will be explained in detail. This section also contains a detailed description and analysis of the FLUTE protocol. 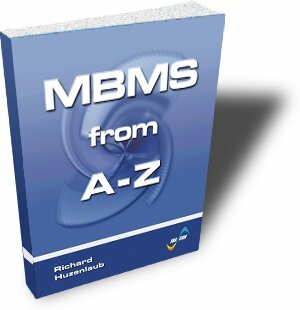 The MBMS user services, such as service subscription, data delivery, charging, security and QoS, which use the bearer services explained before, will be presented in detail. Some important service scenarios will intensify the understanding of MBMS services.